As many of you know it's being almost 20 years working as a photographer, documentary, travel photography, fashion etc and 4 years ago after many years with my own local business I decided to close it and to be focus just on weddings. It was not an easy decision and I knew it was risky but I never regret, I was sure I had to be focus on what I really like and what I enjoy the most. During these years I always found on this list many of my favorite photographers so being on this list is just a dream come true to me. I have no words to express what I really feel with this nomination but I am so happy and grateful that I just wanted to share it with everyone. I want to thank rangefinder for this nomination and I want to thank all my couples for trusting me and given me this amazing present. And of course I want to thank specially Ana (my wife and my everything) who is the reason of of every joy in my life. 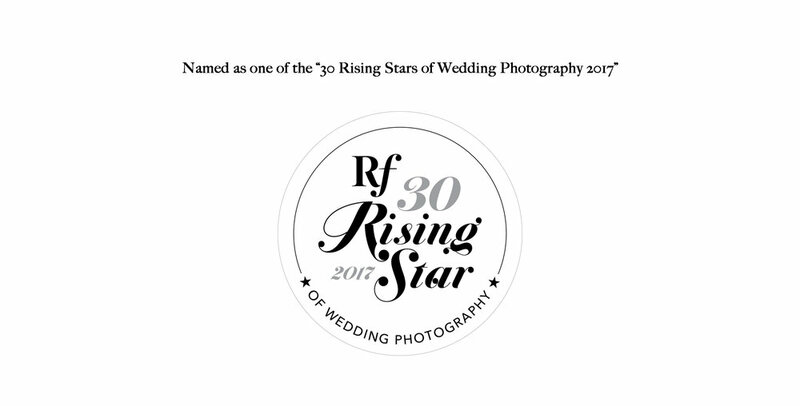 Congratulations to the rest 29 super talented photographers on the list, it is such an honor to be on this list with you guys.